Here at Straight Line Roofing, we are a highly regarded Sacramento roofing contractor dedicated to the satisfaction of all of our customers. We strive towards providing the best services available in the area, not to mention the best quality products and workmanship. Our goal is to have our customers be so happy with our service that they will refer us to others in need of roofing services in the Sacramento area. In addition to our sterling reputation, we are also an Owens Corning Platinum Preferred Contractor. All roofing contractors that have achieved recognition as an Owens Corning Platinum Preferred Contractor have been carefully picked by Owens Corning. As a Sacramento roofing contractor, our designation as a Platinum Preferred Contractor means that we are a part of the elite 1 percent of the roofing contractors within the industry. They have all of the local and state licenses that are required in addition to all necessary insurance. They have a solid reputation with the Better Businesses Bureau. They haven’t filed bankruptcy within the last 7 years. They have provided roofing services under the same name for at least 3 years. They have general liability insurance coverage of at least $1 million. As a Platinum Preferred Contractor, Straight Line Roofing gets a number of benefits as well, all of which will in turn benefit our customers. We receive priority listing in our online contractor locator, are given the opportunity for additional media training and have access to additional financial services. Additionally, only roofing contractors who have achieved a Platinum Preferred Contractor certification from Owens Corning are able to offer their customers the Owens Corning System Advantage Platinum Roofing Limited Warranty. While we strongly believe that our reputation in the Sacramento area as a trustworthy and high quality roofing contractor speaks for itself, at Straight Line Roofing we are proud of our designation as an Owens Corning Platinum Preferred Contractor and hope that this honor will go a long way in providing our customers with the reassurance of our quality that they deserve when hiring our services as well. Straight Line Roofing is a full-service roofing company committed to providing our customers with the highest quality services. 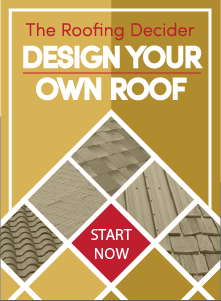 When you are in need of a Sacramento roofing contractor, contact Straight Line Roofing, your local Owens Corning Platinum Preferred contractor.